All who attend Serious Fiction are eligible for “early bird” pricing for Bridging: A One-Day Hedgebrook Writing Retreat with keynote speaker Carolina de Robertis. Offer ends April 25th. 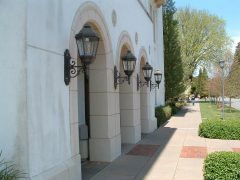 Locate De La Salle Hall to the right of the main entrance. 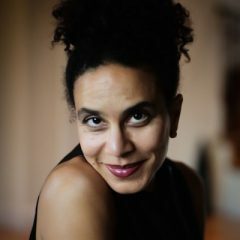 Sarah Ladipo Manyika was raised in Nigeria and has lived in Kenya, France, and England. She holds a Ph.D. from the University of California, Berkeley, and for several years taught literature at San Francisco State University. Sarah currently serves on the boards of Hedgebrook and the Museum of the African Diaspora in San Francisco. Sarah is a Patron of the Etisalat Prize for Literature and Books Editor at ozy.com. Her widely lauded first novel, In Dependence, is required reading in Nigerian schools and her second novel, Like a Mule Bringing Ice Cream to the Sun, was shortlisted for the 2016 Goldsmiths Prize. 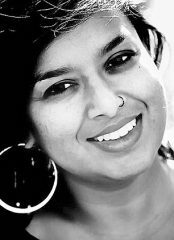 Sri Lankan born author, Nayomi Munaweera immigrated to Nigeria and then to California. Her debut novel, Island of a Thousand Mirrors, was long-listed for the Man Asia Literary Prize and the Dublin IMPAC Prize. It was also short-listed for the DSC Prize and the Northern California Book Prize and won the Commonwealth Regional Prize for Asia and a Godage Prize. Her second novel, What Lies Between Us, a book about a Sri Lanka-American, won the Sri Lankan National Book Award for best English novel and the Godage Award for Best English Novel. She teaches at Mills College and at the Ashland University low-residency MFA Program. She holds writing workshops in Sri Lanka through a program called Write to Reconcile in which she co-teaches with legendary Sri Lankan writer, Shyam Selvadurai. Their aim is to use writing as a tool of reconciliation and healing for both Tamil and Sinhala survivors of the civil war. Mary Volmer is the author of two novels: Crown of Dust (Soho Press, 2010) and Reliance, Illinois (Soho Press, 2016). She has been awarded the Rotary Ambassadorial Scholarship and residencies at the Vermont Studio Center and Hedgebrook and she teaches at Saint Mary’s College (CA). Register online in advance or pay at the door. I will be paying by check.